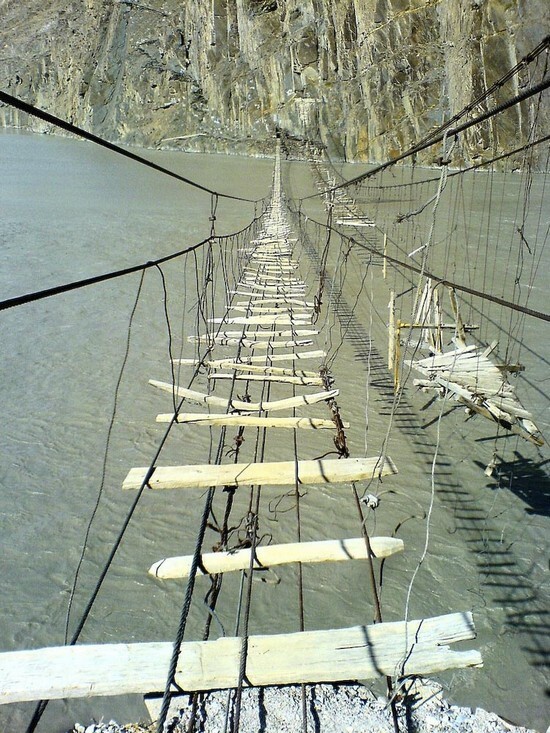 The Hussaini-Borit Lake Bridge is considered to be one of the most dangerous in the world as it is very old, narrow, extremely high above the lake and to top it all off, wooden planks are missing. 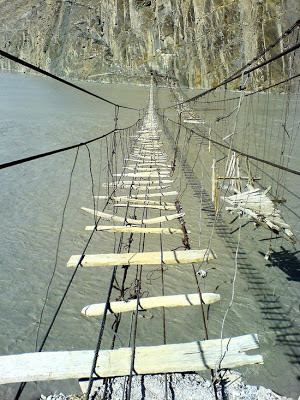 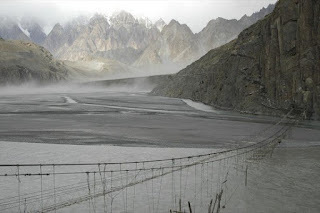 The local people of Pakistan use several suspension bridges to cross rivers in and around northern Pakistan. Among these, the Borit lake bridge is well known around the globe for being the most dangerous and thrilling rope bridge.